Archie Watson has made a fast and furious start to the two-year-old season with a sparkling array of talent. In fact, he had four two-year-old debut winners in a span of just twelve days, leaving his peers wondering what is his secret. Lady Kermit was one of those gifted two-year-olds. This bay filly, a daughter of Starspangledbanner was all the rage when backed to even-money favourite on her debut at Kempton. Even a wide draw did little to hamper her precocity as she stormed to the rail and leading into the final furlong forged clear to win by an impressive six lengths. Clearly, the dogs hadn't been singing: ''Halfway up the stairs is a stair where I sit...'' as her reputation preceded this January foal. 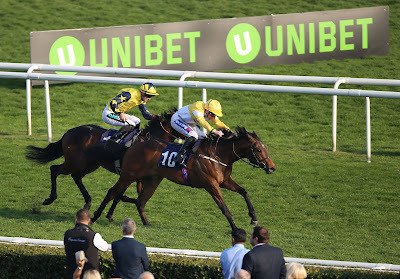 Connections and backers alike weren't scared of this speedy filly carrying a win penalty or contesting the Ladbrokes Home Of The Odds Boost Fillies' Conditions Stakes (Plus 10 Race) over 5f. Lady Kermit was backed to 1/4f even though she had a previous winner in opposition [Chasanda] and eight debutantes, some who are very capable juveniles. Lady Kermit led from start to finish and won a shade cosily by just under two lengths. She looks a classy filly who is likely to be heading to Royal Ascot. Watson detailed the Queen Mary Stakes (Group 2) is on the card this June. Other two-year-old winners include Electric Ladyland, Exclusively & Lambeth Walk. Arasugar is the only significantly-entered juvenile in the field. 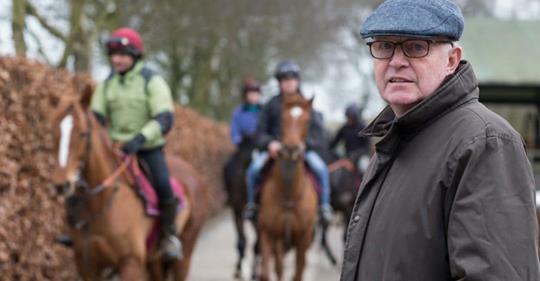 Seamus Mullins bay daughter of Arakan was sent off a 100/1 shot when making her debut in the Brocklesby Stakes at Doncaster. She showed good pace before tiring in the closing stages when finishing fifth behind Show Me Show Me who looks a fair type for Richard Fahey. The form of the Brocklesby has been franked by the third-placed Zulu Zander winning at Leicester, while the sixth, seventh, eighth and ninth have been placed on their next starts. Arasugar isn't without ability, but this looks a tough heat with a very expensive horse in opposition. 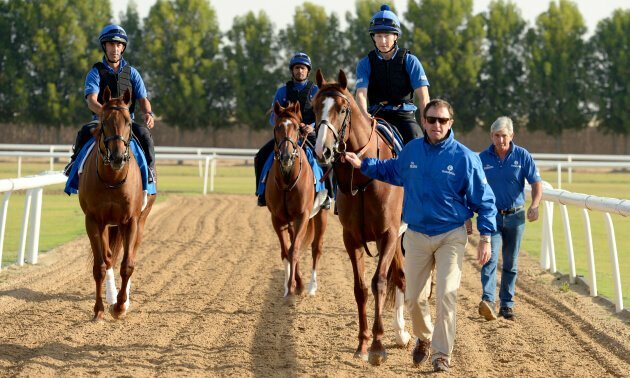 If money talks, Chasing Dreams, trained by Charlie Appleby, should take all the stopping. This chestnut filly is sired by Starspangledbanner out of a winning mare. She cost 750,000 gns at the yearling sales. The Brocklesby Stakes is the only significant entry we have to work with at this moment. However, the race has resulted in a couple of fair types. 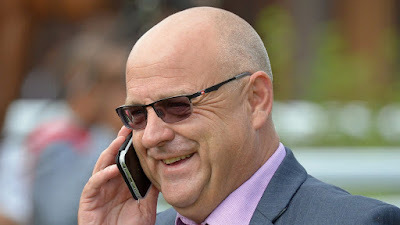 Certainly, the winner Show Me Show Me, in the familiar silks of Ontoawinner, looks a decent prospect and David Evans Zulu Zander ran out an easy winner at Leicester. In fact, the Brocklesby Stakes sixth, seventh & eighth has all run respectably on their second and third starts. That brings us to Bendy Spirit who finished ninth on debut at Doncaster. Similarly trained as Show Me Show Me by Richard Fahey, this son of Helmet showed bright speed but tired markedly in the closing stages to finish thirteen lengths behind the winner. As far as form goes, it didn't look the most illuminating result. On the upside, Bendy Spirit was priced at odds of 14/1, which may suggest he was in need in the race. The style of the run gave that impression too. Being on the sidelines for just over two weeks should be ample time to have this colt primed for the day and that valuable experience will be to his advantage. Richard Fahey's Brocklesby entrants/runners from previous years have been up to winning standard, which gives Bendy Spirit some hope. 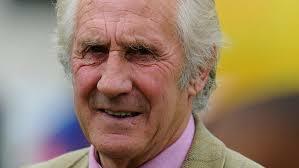 Also, Pontefract is a course the trainer has done well with his juveniles, especially on their second start. I suspect Bendy Spirit will run a better race today although there is plenty of competition from the two favourites with Mark Johnston's Alminoor looking a talent when narrowly foiled on debut at Musselburgh, while Danny Ocean, trained by Karl Burke in the Onetoawinner silks, is sure to improve a good deal on his first start at Leicester where he looked ring rusty but ran on with verve. All three horses are worthy of respect. Shame this race isn't for three places because it would bring a few options. Personally, I will be taking a watching brief unless Danny Ocean or Bendy Spirit drift to much bigger odds. I must apologise for being quiet. I'm still working on the horse trainer statistics which are taking longer than expected. It is literally like painting the Forth bridge, with a dicky brush. The data is very interesting but it really is boring to complete. However, it is a job which needs doing and I will be doing my utmost to get the majority of it signed off this week. It has spurred me on because there are few two-year-old races these next four or five days. I'm sure you have noticed a couple of two-year-old races for Monday. I'm not going to write a great deal about either of these races as I much prefer to watch the early races. Archie Watson has got off to a decent start with a couple of winners and Exclusively is well owned. The betting details a big run is expected. Brocklesby fourth place Dorchester Dom ran well enough on debut. The third horse that day, also trained by David Evans, won well at Leicester. I'm not keen on betting short prices at the best of times. This son of Starspangledbanner has valuable experience which counts for a lot against debutants. There's always the worry something will pop up and make the jolly backers not so happy. Interesting to see how Richard Hannon's Lexington Quest goes. This son of Ivawood cost £32,000 at the yearling sales when purchased to by Peter & Ross Doyle Bloodstock (who buy a lot for Hannon). Now in the ownership of Middleham Park Racing. Worth noting this April foal (24th April, so not quite two) was given a Brocklesby Stakes entry. The sole entrant for Hannon. 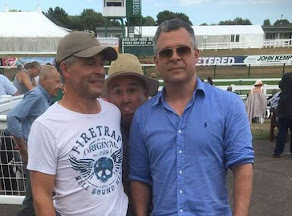 I think we have to go back to 2016 for the last time Hannon had a horse entered or run in the Brocklesby. In that year he had Tomily and Bismark The Flyer. Tomily won a couple of times at two and turned out to be a very talented gelding. Bismarck The Flyer won a couple of times at two, the first victory at selling class. Lexington Quest isn't without a chance here and I would take the Brocklesby entry as a positive. Looks a competitive heat. Interesting to see how Keith Dalgleish' Gina D'Cleaner goes. Doesn't look fancied in the betting but this daughter Equiano held an entry for the Brocklesby Stakes. However, the stable can win on debut at decent odds. A couple running here who made their debut in the Brocklesby Stakes: Birkenhead and Here We Go Again. Not a great deal between the two at Doncaster. Racecourse experience is a big advantage at this time of the year, especially on turning courses where runners are prone to racing wide. Interesting to see how Archie Watson's Electric Ladyland goes from a very wide draw. This Irish-bred daughter of Cable Bay has been quite well backed. This 35,000 euro yearling buy could well have ability, especially of interest if strongly fancied at the off. 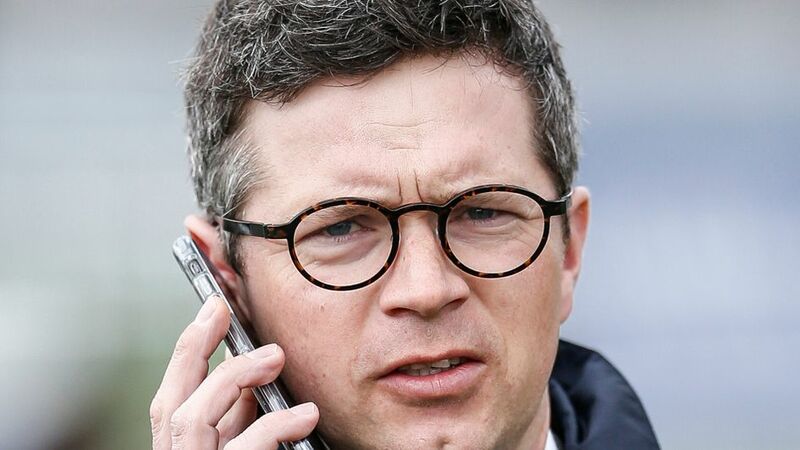 All eyes will be on Aidan O’Brien at this year’s Guineas Festival at Newmarket, as the Ballydoyle maestro has dominated this meeting of late. He landed the 1,000 Guineas in 2016 and 2017, and he has won the 2,000 Guineas in three of the last four years. However, much of the hype this year surrounds John Gosden’s Too Darn Hot, who is the clear ante-post favourite for the 2,000 Guineas. 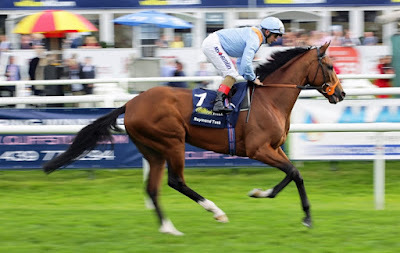 He is also favoured to win the other two legs of the Triple Crown – The Derby at Epsom and St Leger. Last year saw Saxon Warrior clinch the 2,000, while Billesdon Brook triumphed in the 1,000. 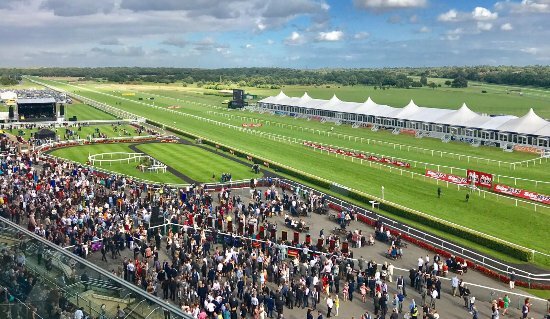 Racegoers can enjoy three days of high-quality action at York in May, including the Musidora Stakes, the Dante Stakes and the Yorkshire Cup. 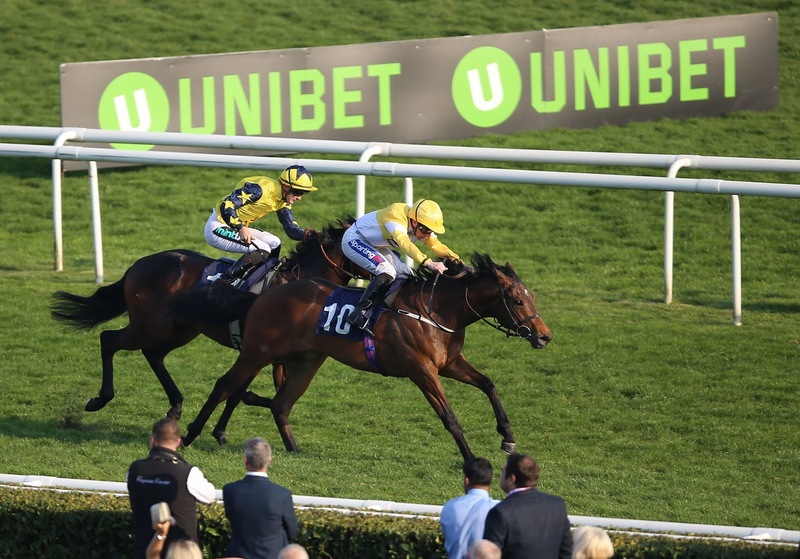 The victors of the Dante and the Musidora will be among the favourites for the Classics, while the Group 2 Yorkshire Cup is always ferociously competitive. Last year, Stradivarius romped to victory and that win marked the start of an epic winning streak. 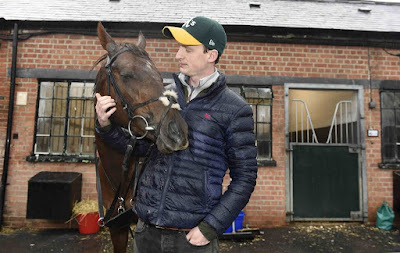 He went on to claim the Ascot Gold Cup, the Goodwood Cup, the Lonsdale Cup and the British Champions Long Distance Cup to cement his superstar status. The Derby is considered by many to be the greatest and most prestigious race in the world. It has spawned a huge number of imitators, including the Kentucky Derby, but this is the biggest of them all and the most prestigious of the five Classics. It is the centrepiece of two excellent days of racing at Epsom, but you should also look out for the Oaks and the Coronation Cup. Masar won The Derby in 2018, and Too Darn Hot is the favourite to follow in those illustrious footsteps, but the likes of Dubai Warrior and Anthony Van Dyck are expected to provide stern competition. The Royal Family will be out in full force at the richest and most famous race meeting in the British racing calendar. This year it takes place from June 18-22 and a total prize pool of £7.3 million will attract many of the world’s finest racehorses. It features eight Group 1 races, more than any other meeting of the year, and the Ascot Gold Cup is the biggest of the lot. 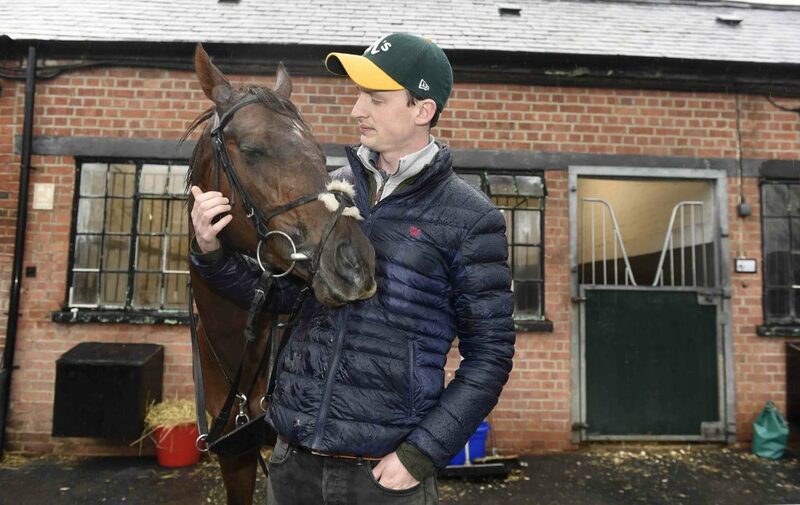 Stradivarius is sure to be a big focus for any punters looking at the https://www.sportingindex.com betting lines, but big hitters like Kew Gardens should also line up and it promises to be another gripping contest. The Queen Anne Stakes, King’s Stand Stakes, St James’s Palace Stakes, Prince of Wales’s Stakes, Commonwealth Cup, Coronation Stakes and Diamond Jubilee Stakes will also command huge attention. The next Group 1 race of the season is the £750,000 Eclipse Stakes, named after a legendary 18th-century racehorse. It takes place at Sandown Park in Surrey and it is the centrepiece of a two-day festival on July 5-6. In 2017, the venerable Sir Michael Stoute tied the record for the most wins in this race when Ulysses landed, while jockey Oisin Murphy claimed his first ever Group 1 winner last year in the Eclipse. Attention shifts back to Newmarket later in July for three days of fun. The 6 furlong July Cup is Europe’s leading spring race and the roll call of recent winners includes US Navy Flag, Harry Angel and Limato. Lester Piggott won this race a record 10 times during his glorious career. The £1.25 million King George VI and Queen Elizabeth Stakes is the highlight of the second most important meeting at Ascot. Poet’s World edged Crystal Ocean in a thrilling duel last year and it always provides a great spectacle. This is a magnificent meeting at one of the world’s most beautiful racetracks, nestled in the heart of the Sussex countryside. This year it takes place from July 30 to August 3 and fans can look forward to five wonderful days of racing. 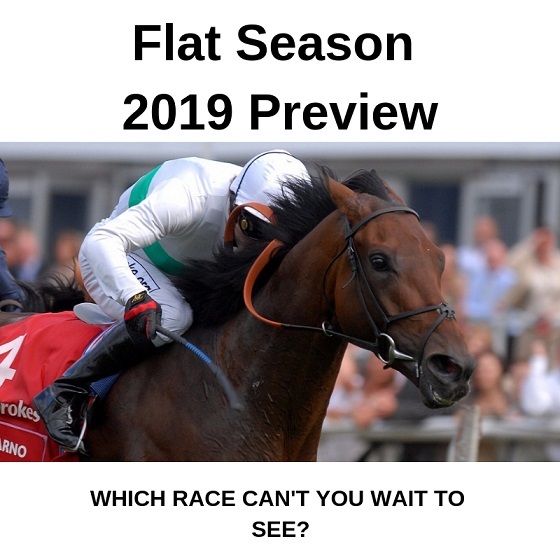 The three big races are the Goodwood Cup, the Sussex Stakes and the Nassau Stakes, but there is top-notch action throughout the festival. Stradivarius will attempt to defend the Goodwood Cup this year and that will be one of many highlights at Glorious Goodwood. This four-day bonanza begins with York’s richest race of the season, the Juddmonte Stakes. Previous winners include the legendary Frankel, while Stoute is the most successful trainer. Roaring Lion went on to win this race last year and an extremely strong field is expected in 2019. Also, look out for the Yorkshire Oaks and the Nunthorpe Stakes at this August meeting. 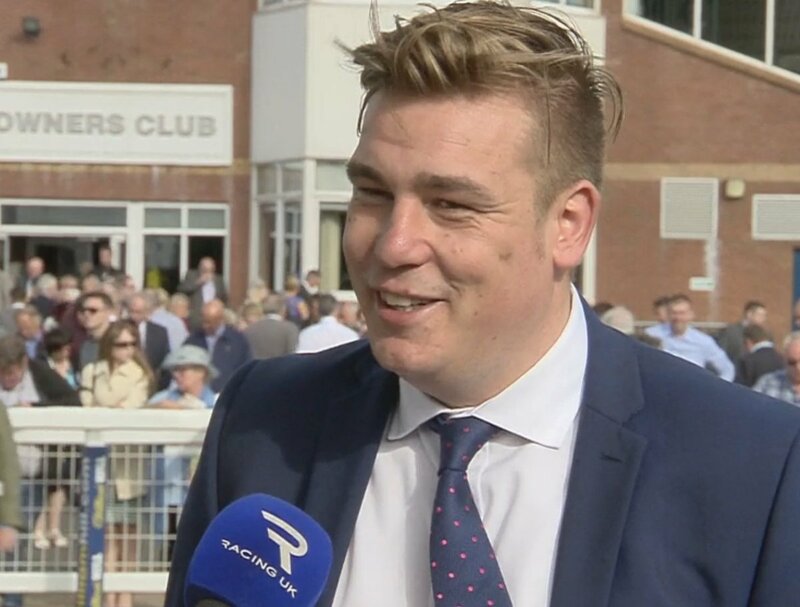 Twenty-five thousand racing fans will pack into Doncaster to watch the best in the business battle it out for glory in St Leger in September. O’Brien and jockey Ryan Moore are bidding for a hat-trick this year after Capri won in 2017 and Kew Gardens last year. The season will wrap up in style at the British Champions Day at Ascot, which will be the most valuable day of racing in British history. Prize money across the six-race card for 2019 will be a record £4.35 million. 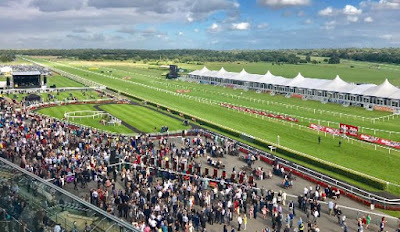 Four of the races are Group 1 contests: the British Champions Fillies’ and Mares’ Stakes, the Queen Elizabeth II Stakes, the Champion Stakes and the British Champions Sprint Stakes. 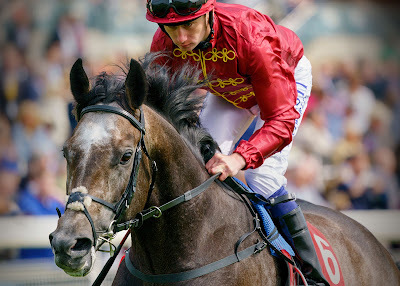 Cracksman and Roaring Lion were among the superstar winners last year and new legends are sure to be crowned this time around. Do you know how to find the best unraced and lightly raced 2yo horses in training? Take a look at Group Horse and we will send you 10 Dark Horse for Free (August). Love sport? Join Free Bets Blogger and get paid to write about your favourite sport. We have happy blog writers betting for free. Limited spaces.